Savoia is another famous industrialist associated with aircrafts and the industrial north of Italy. Umberto Savoia was a talented engineer which funded his company in 1915. After the war, it would join forces with another company funded the same year, SIAI or "Società Idrovolanti Alta Italia" a Seaplane company of Northern Italy, which led the company to design Hydroplanes during the war and in the Interwar. However Major Umberto Savoia was not restless. In the meantime, he associated with one of the Pomilio brothers. The Name "Savoia" had evoked the prestige of the House of Savoy. This Forerunner of present day Siai-Marchetti it was founded 1915 by Luigi Cape at Sesto Calende, with also setup a seaplane base on Lake Maggiore. Idrovolanti Savoia on the other hand built FBA flying-boats under license. At first, SIAI (Società Idrovolanti Alta Italia) planned to built French hydroplanes under licence. The company recruited Raffaele Conflenti as chief designer, and developed its own model, the S.8 (presumably previous ones were either paper projects, prototypes or licence products). 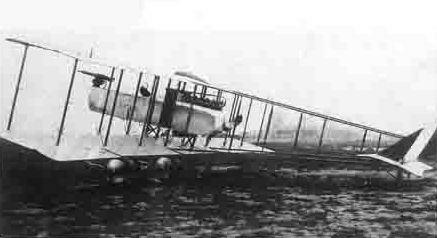 The two-seat, equal-span biplane flying boat first flown in 1917 and was ordered u large numbers by the Navy (Regia Marina), to be built by SIAI and subcontractors but at the end of the war only 172 had been delivered (214 with those built by other manufacturers). The 1917 serie was powered by a Isotta Fraschini V4B engine and the late serie received a 220 hp (164 kW) Hispano-Suiza 44. After 1920 these planes were sent in storage. Armament: 7.7mm (0.303 in) machine gun in the nose cockpit, 265 lb (120 kg) of bombs. This Italian reconnaissance flying boat was developed in 1918 with a wing structure in single-bay with additional struts mounted mid-bay at the junction of the wires. It looked as a two-bay wing. The S.9 was mostly produced after the war ended, in service with the Corpo Aeronautico Militare and later the Regia Aeronautica, and exported to the Finnish air force. It was propelled by a Fiat A.12bis, 224 kW (300 hp) engine, for a max takeoff weight of 1,740 kg (3,828 lb), and capable of 140 km/h (75 knots, 86 mph). It was armed with a light machine gun in the nose (observer/gunner) and could carry 50 kg (110 lb) of bombs for strafing attacks. The Savoia-Pomilio was a serie of planes created by Major Umberto Savoia and Lieutenant Ottorino Pomilio from 1916. Ottorino Pomilio was the designer in the Pomilio brother team, which would later produced a serie of relatively successful reconnaissance planes, mass-produced until 1918 under their name before emigrating to the USA. The first was a prototype of a modified copy of the Farman MF.11 then built by Savoia as SIA 5b, Followed by the SP.2 in 1916 (300), SP.3 in 1917 (350) and SP.4 in 1917 (150). This reconnaissance biplane and bomber was designed by Savoia and Pomilio, based on the Farman MF.11 SIA was licence-producing under the SIA 5b designation. It shared the same configuration but was larger and sturdier. Both pilot and observer sat in tandem in the front nacelle resting on struts in-between the wings, while a Fiat A.12, 190 kW (250 hp) was mounted in a pusher configuration. There was a twin-tail, twin-boom arrangement extending aft from the wings and a single horizontal stabilizer. The SIA prototype was built at Turin, and after trials in 1916 served as a basis for following production models such as the SP.2, SP.3, and SP.4. The SP2 was a derived production model used as a reconnaissance and bomber aircraft still with the twin tails-twin booms arrangement, fuselage nacelle, pusher-mounted FIAT A12 engine. It first flew in July 1916 and was mass production by SIA, and Pomilio factory recently completed. Corca 300 were delivered to 12 front-line squadrons of the Aeronautica Militare by the spring of 1917 and a dozen were modified and tested in combat with a Revelli-FIAT 25 mm cannon. However these SP.2 had been found slow and vulnerable to enemy fighters. The SP.2 was 10.77 m (35 ft 4 in) long, 16.74 m (54 ft 11 in) wide, and weighted 1,700 kg (3,750 lb), flying at 120 km/h (75 mph) max, to a 450 km (280 miles) range. It had a machine gun manned by the nose observer and about 50 kgs of bombs. This second production reconnaissance/bomber aircraft still derived from the Farman MF.11 but it was designed to be faster. It had a reduced wingspan, a lighter structure, better shaped fuselage nacelle and tested the improved version of the Fiat A.12 which developed 220 kW (300 hp). The prototype first flew in early 1917 and was produced by SIA and Pomilio factories, about 350 delivered in all. So much so that in the summer of 1917, 1/4 of Italian front-line aviation units were given these SP2, SP3 and SP4 models. Specs: 10.95 m (35 ft 11 in) x 14.70 m (48 ft 3 in) x 3.55 m (11 ft 8 in), 60 m2 (646 ft2) wing area, Weight: 1,048 kg (2,310 lb)/1,498 kg (3,303 lb), top speed 145 kph to 150 kph(90 mph), range: 450 km (280 miles) and service ceiling: 5,000 m (16,400 ft). One MG and 50 kgs bombs. The SP.4 was yet another derivative of a formula that was considered obsolete in the West, but featuring two Isotta-Fraschini smaller, lighter engines mounted mid-way between the wings rather than in the nacelle's rear. This freed the rear to place here a second machine-gunner, so that this model was better defended against fighters. However the combined power of both engines was about the same as the single FIAT, so there were no massive increase in performances and the planes remained slow by the end of 1917 standards. The prototype first flew in the fall of 1917, however production by a new consortium (without Pomilio) called AER was limited to circa 150 machines as the concept was obsolescent. They served for reconnaissance, as bombers, but also for "spec ops", inserting spies and saboteurs behind enemy lines. The SP.5 was studied but remained unbuilt in 1918. Specs: 10.70 m (35 ft 1 in) x 19.80 m (65 ft 0 in), wing area: 78 m2 (839 ft2), 2,300 kg (5,060 lb), two Isotta-Fraschini V.4B, 110 kW (150 hp), Top speed 150 km/h (94 mph), two MGs and 50 kgs bombs.